Ada Beatrice Queen Victoria Louise Virginia Smith (known more commonly as “Bricktop” due to her red hair) was an American singer, dancer, and jazz-club proprietor who became a cornerstone of the African-American jazz community in Paris. She began performing at the age of 16, and she quickly rose to prominence in the vaudeville circuits of Chicago and New York City. On May 11, 1924, she arrived in Paris to replace Florence Jones as a performer at Le Grand Duc in Montmartre. 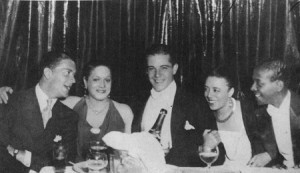 (Shocked and disappointed by the cabaret’s tiny size, Bricktop burst into tears upon arrival—only to be consoled by a helpful busboy by the name of Langston Hughes).1 Word of her talent and charm spread quickly, however, and in at least one 1925 newspaper she was erroneously reported to be the manager of Le Grand Duc, rather than simply a performer (much to the annoyance of her former employer, Eugene Bullard).2 By 1926, she had opened her own club, called the Music Box (though it was often referred to simply as Bricktop’s). 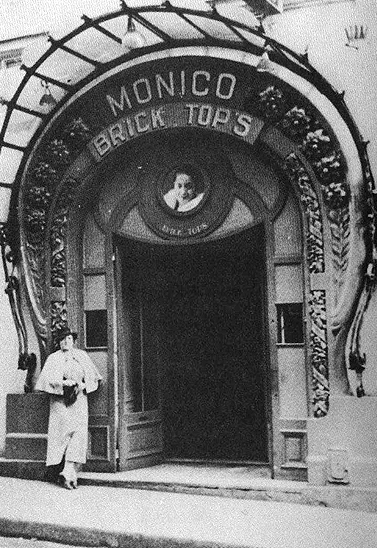 Later, in 1929, Chez Bricktop moved down the road to 66 rue Pigalle. Bricktop herself played the various roles of performer, hostess, accountant, manager, and bouncer; her business was synonymous with her personality. 1 Sharpley-Whiting, T. Denean. Bricktop’s Paris. (Albany: State University of Neew York Press, 2015), 28. 3 Jackson, Jeffrey H. Making Jazz French: Music and Modern Life in Interwar Paris. (Durham: Duke University Press, 2003), 56. 7 Krebs, Albin. “Bricktop, Cabaret Queen in Paris and Rome, Dead.” The New York Times, February 1, 1989. 8 McAlmon, Robert. Being Geniuses Together: A Binocular View of Paris in the ’20s. Revised by Kay Boyle. (New York: Doubleday, 1968), 316-317. Wonderful post! You’ll have to link to this in your map of Parisian jazz within the marker for Bricktop’s. In fact, I can imagine blog posts on a number of jazz establishments that users can access through the map. I particularly appreciate the blend of colorful anecdote and hard fact that you present here, as well as your use of primary source recollections. For another one of those, you might go to Langston Hughes’s autobiography – I believe he was in the city in 1924 (there’s a blog post about his first night in the city somewhere on this website) and his would be a particularly authoritative first person account of Bricktop. For the map, you might also link to some New York Times or French newspaper articles about Bricktop from the 20s, assuming you can find some. The research never ends, but with a start as good as this one, it would be a shame not to follow up.